AC: I love to write about magic. The possibilities are limitless. Anything can happen when magic is involved and my wild imagination loves that! AC: I wouldn’t want to go too far back. I like my conveniences (like indoor plumbing.) Perhaps the 1950’s. It was a more innocent time (if you don’t watch Mad Men) and technology hadn’t been developed to the point of driving me crazy yet. AC: My husband I have "our song" which fits my light romances too. You Make Lovin’ Fun by Fleetwood Mac. AC: My first kiss lasted about 3 hours and left me in a love-drunk fog. I couldn’t even feel my legs. AC: It wasn’t a line…it was an action. A cute guy literally fell in my lap. We were in a crowded nightclub, and some guy practically body checked him. I don’t know if it was prearranged or not, but Whoa! Did that ever get my attention! AC: Nope. I need quiet to hear the voices in my head. AC: My grandparents had some beautifully illustrated books of children’s fairy tales. I’d sit in the closet where they were kept in a bottom drawer and read them over and over. It must have been the world’s first walk-in closet because it was plenty roomy. AC: My husband thinks he’s the luckiest man alive. He gets to research new ideas to be sure they’re physically possible. My daughter is the only other member of my family and she does not (thank goodness) read my books. AC: I’m not good at reading a whole series, but I love Mary Janice Davidson’s Queen Betsy and Gerry Bartlett’s Glory books. I need more of Michele Bardsley’s Broken Heart vampires. AC: Maybe learning to read Tarot cards or giving facials. AC: I make jewelry—especially Euro bracelets. I have an Etsy store called Ashlyn’s Imagination where I sell some of it. I give some away as contest prizes too. AC: Unwind in my hot tub with a good book…as long as it isn’t over 80 or under 30 degrees outside. AC: I blame everything on Thalia—the Muse of Comedy. I never learned how to type. I love Ashlyn Chase's light paranormal romances! She definitely makes loving fun! Awww...you read the interview! I love you just for showing up and leaving a nice comment, Venus. I really enjoyed the interview, great questions and answers and then the things you may not know about her :) Definitely have to check out her shop, I didn't know that. 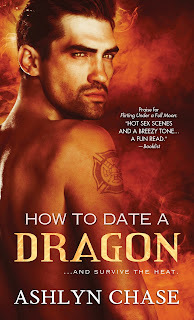 I read How to Date a Dragon and I loved it! Have a Wonderful day and I hope her blog tour rocks!! My question for Ashlyn is: How can you be a writer and not type. My hand would kill be from writing constantly. Unless you have someone nice enough to type for you. If you ever need a typist, call me up. I can type around 40 wpm. LOL. Great interview. Loved the fun facts, cause a lot I did not know about you. Thanks for writing such great books. Thanks for the offer, Chris! I wish I could type the right way, but I've tried online training tools and keep going back to my own way. Sigh. Old dog. New tricks. I just loved the interview! Thanks so much for having Ashlyn, she's one of my favorite authors and one of these days when I am visiting my sister in Derry, I hope to meet up with her and maybe have lunch!!! Can't wait to read HTDAD, it's going to be a great read!! Well, dang, Pumpkin! Name the day and if I'm free we can go to Mary Ann's Diner. This is Ashlyn's best yet. A must read!!! Thanks, Shelly! My editor agrees. Thanks for the name to your etsy shop. I'll go look now. I don't think I've asked you but how many books are you planning for this series? It's another trilogy. Book 3 will be coming out in March 2014. I've gotten a whole circle of people, completely addicted to your work :) We beg you to please keep writing, and keep it all as incredible as it has been..
Wow! I love to hear that! Loved the fun facts and Q&A. Your series are so much fun. The is of romance and humor just makes my day. I always pick up one your books when I'm having a rough week cause I know I'll get a kick out of them. I'm so happy that I'm able to cheer you up when you need it. Hugs! That's how I got into romance in the first place. I needed a healthy escape when my parents were terminal at the same time. 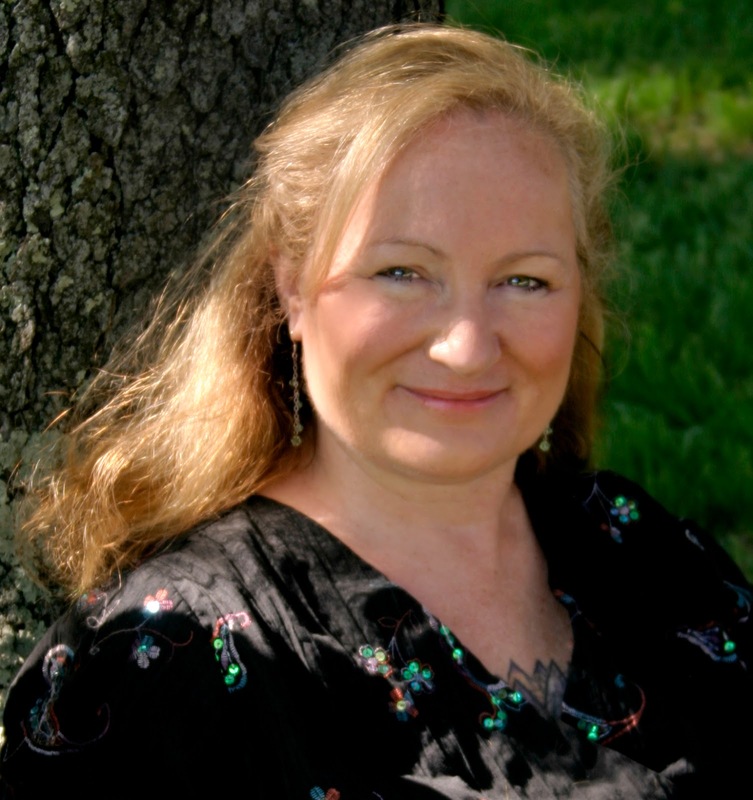 Diana Gabeldon got me through it. I'm delighted I can pay it forward! I loved this interview! Great questions and Ash's answers are always delightful. Love her humor! Love Ashlyn Chase! Her books rock! Great interview! You guys are awesome! Thank you for coming here today to support Ash. With that said, I will pick a random winner tomorrow morning to win a signed copy of Flirting Under A Full Moon, book 1 of this amazing series, Flirting With Fangs. Thanks so much for having me here today! It was a total pleasure.